Christmas crafts are an exciting activity for any preschooler. With all of that energy and excitement, it’s nice to keep crafts easy, fun, and simple. 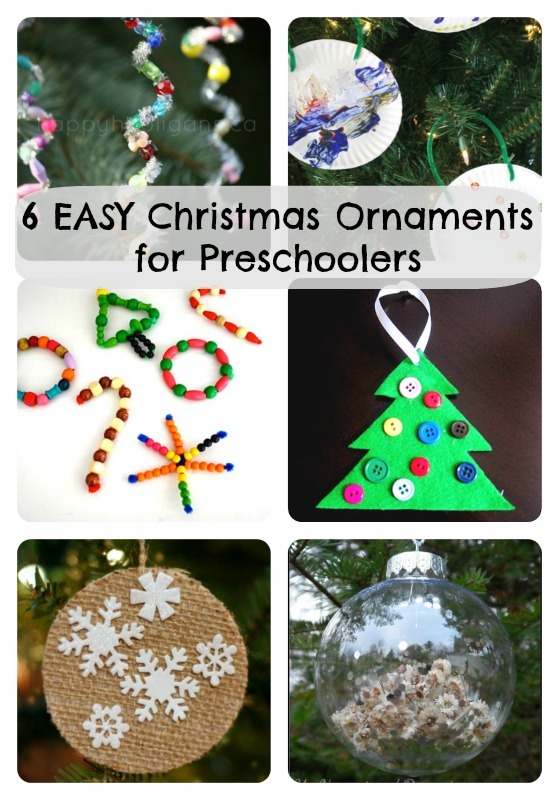 Here are 6 easy Christmas ornaments for preschoolers to make. Every single one of these homemade Christmas ornaments are great for preschoolers to do independently. My 3 year old loves activities he can do all on his own! These Christmas crafts would be great for day cares, preschools, Kindergarten classes or at home. 1. 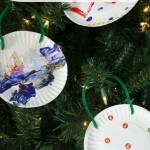 We will start off the show with our super simple paper plate Christmas ornaments. These Christmas balls were so fun for Sam to make! 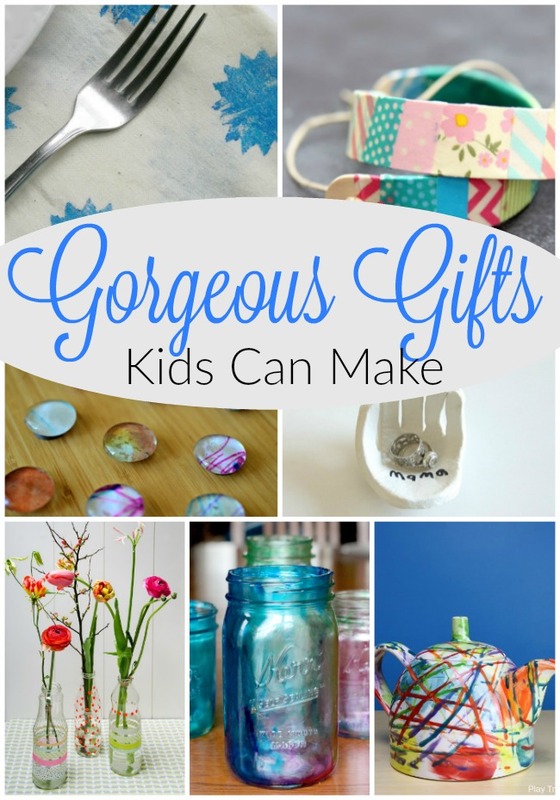 Best of all, you can use any craft materials you have on hand. 2. If you are looking to use real Christmas balls, these adorable nature filled Christmas ornaments from My Nearest and Dearest are perfect for preschoolers to make. 3. 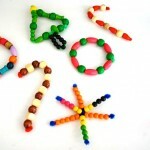 Beading onto pipe cleaners is a great fine motor activity for wee ones. That is all that is needed for these adorable and easy Christmas ornaments for preschoolers to make from Buggy and Buddy. 4. 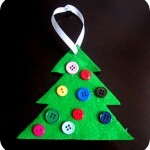 A simple felt cut Christmas tree looks adorable decorated with buttons! These cute button Christmas tree ornaments can be found at Hands on as we Grow. 5. 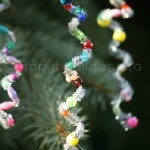 Another ornament that uses pipe cleaners and beads are these adorable (and OH SO simple) icicle Christmas tree ornaments. 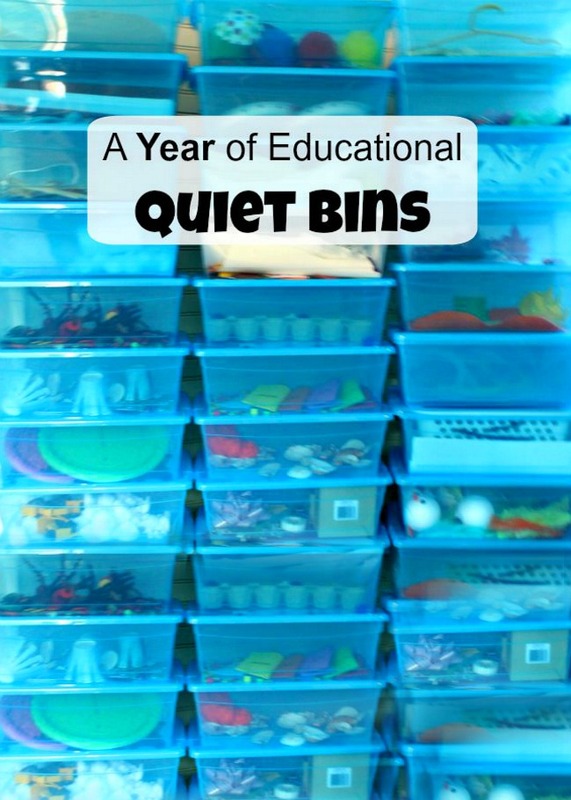 Perfect for preschoolers practicing fine motor skills. 6. 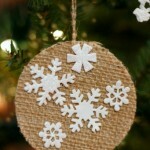 Our final easy Christmas ornament for preschoolers to make are these burlap Christmas ornaments. An interesting texture and material for preschoolers to explore, while creating this adorable ornament! There you have it! 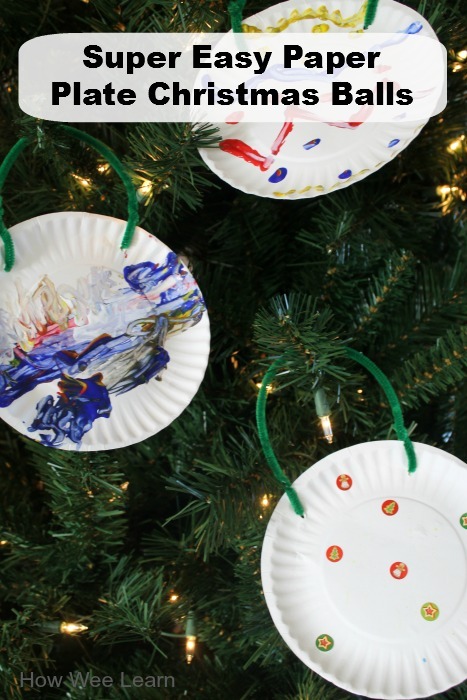 6 easy homemade Christmas ornaments for preschoolers to make. Simple and fun for wee ones to do all on their own. Looking back at the keepsake ornaments I have from my Madeline (11), the ones I appreciate the most are the ones she did all on her own. Who cares if the Christmas ball is pink instead of red and green?! (At one point …. me!) But I have come a long way. Letting wee ones explore and create art is all about the process – and these Christmas ornaments will be adorable keepsakes for years to come. Lots of great ideas. 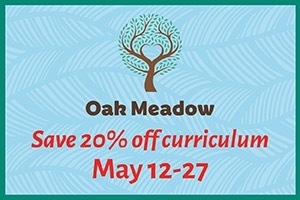 Thanks for including one of ours! 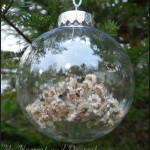 Thank you Ann – and I love your nature Christmas balls – we will definitely be doing this! Definitely beautiful. Im get jealous, we will make this also for our home Christmas decoration.